Have you heard that saying, "Working hard or hardly working?" Makes us have sore muscles. Another project getting marked off our list soon. Absolutely beautiful...I know you all love the looks and you should be proud of it...lots of hard work (plus money) (no money tree in your yard)but to see thie view makes it worth it. Wow! More beautiful things to look at in your fabulous yard! Love the flagstone path...GORGEOUS! It is so worth the hard work, looks beautiful. Your yard is beautiful! It really takes work doesn't it? But all worth it to get the look you have shared with us! That looks wonderful. Yes, you do get dirty and sore, but don't you love working outside. Oh, I can hardly wait to see the completed project; yes, it will be worth all the work! Well my hands hurt today from pruning...oh your flagstone is awesome...been wanting to do my patio in flagstone, and it's on my list but don't know when we will ever get it done. How funny.. my hubbie will mow but won't do flagstone!! I need some Motrin...talk to ya later! Love your project and your yard is beautiful. My hubby is cut from the same cloth. He loves a project but the mowing part of the yard is boring to him. Oh I am so happy it's spring, everything is coming alive again...including me. I'm perking up! You are so right about it being hard work. I didn't appreciate how hard my husband worked to keep our yard and flowers so pretty. Congrats on the new path. Gosh, you are SO lucky. My husband moans and groans if I buy plants, etc. for him to plant. Can't wait to see what the final product looks like. Beautiful...I can't wait to see more pictures! Oh, how pretty, Stacey! Working with stones is about the hardest physical work you can do (and there's an art to laying out stones, too). Your husband did a beautiful job on your patio, and I know you're going to love using it this summer. What a beautiful addition to your yard. That is definitely hard work, but will be so worth it in the end. You are one fortunate lady! Your own personal, handsome gardener. The two of your sure do produce magazine style gardens together. Love that you shared this beauty with us. ~WOW! I just adore the stonework and your entire yard. Gorgeous job! 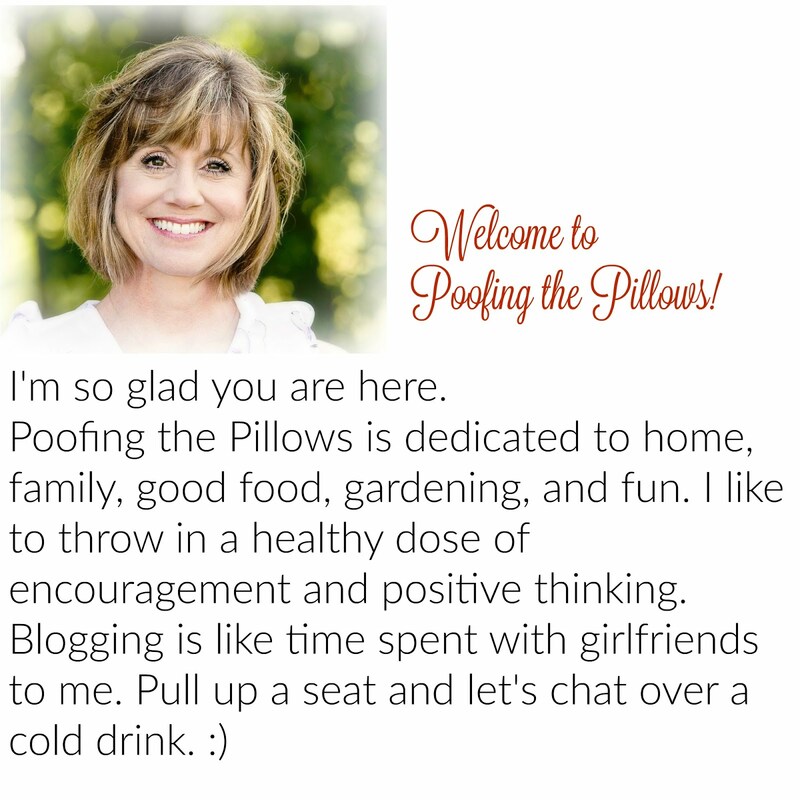 Thank you for the support of my blog and your kind words Stacey. I really appreciate it. I've lost at least 25 since around the first of the year. I felt it was a pretty large amount and I must be beyond boring with my posts. In reality it really is silly for me to even notice. Yikes! Yes, it is so good to check something off the list, even if it is hard work. It's paying off though as it looks so good. Hard to believe just a short time ago it was covered in snow. Lucky girl! My husband hates being outside at all. So that is where I go when I want peace and quiet! I just did some laying of that stone. Hard work indeed! I can almost hear that water moving over the rocks. It is looking gorgeous! Make sure you show us the finished product. Oh it is pretty.... and all I have been doing is weeding but couldn't agree with you more... tired, dirty and sore... That is spring for me. But I love it. Hi Stacey! Oh, this looks so good! Your hubby has done well! I love, love, love your yard. Your new flagstone path looks wonderful. I'll be right over with lemonade and a picnic dinner. It certainly did pay off...just gorgeous! Lovely! I need to get out into the yard and start creating that French Potager! My hubbie is good that way too, but he is plaing catchup on work since coming back from France....hopefully this weekend! Gorgeous and you are going to love it! How beautiful! The water floating over the rocks looks so tranquil. Stacey, I love your yard....such a gentle haven. I love spring work but yes, I do agree...it is hard!!!! WOW! Just beautiful!!! We are working on a big new flower bed this year! I am so EXCITED! Oooh, your yard is looking fabulous, Girlfriend!!! I love that flagstone that you're laying...it's gorgeous!!! It's just the inspiration that I need to start the little project in our backyard...showing your photo to my honey when he gets home! Thank you so much for coming by for a visit and taking a peek at Peter Cottontail! Hehe! Loved your sweet note, my friend! You take care and have fun working in that beautiful backyard of yours!!! Can't wait to see more photos!!! Oh Stacy that is gorgeous. I have one dug and the pond liner on its way. Wow was that shipping expensive. Have my trusty friend to help me and hopefully will have a beautiful pond soon. Thanks for your kind words over at my blog. Such a bittersweet year to have the baby leave happy and sad. Hi Stacy! I didnt think your back yard could get any better but now you've got a fabulous new patio area. I hope you have a lap top so you can sit out there and blog. Stacey, what a kind and gentle heart you have. Thank you for caring about me. I truly appreciate you! Spring is hard work! Your yard is beautiful! Enjoy your day, and thanks for popping over to say 'Hi'! Beautiful pics, we have a koi pond and I just posted about cleaning it out too. What a job! Love your blog, found it from Lavendar Dreamers blog. Have a great weekend! Wow, that walk way is going to look fabulous! How very true. Your pond is larger than ours. They always say that when putting in a pond, put it in bigger than what you think -- I wish I had (but then, of course, I would want it EVEN bigger)! I love your pond. The whole setting is beautiful! I am in Gardening ency right now, that looks incredible! I know it was hard work but so worth it! that water feature is awesome. your efforts are paying off.